A customer database is like a garden. You need to look after it in order to make the right flowers grow and you need to take time to get to know the flowers in your garden, so you can nurture them and look after them with attentive care. What you also need to do is to remove the weed to make sure you have more space for your flowers to grow. The same logic applies to a customer database that you use for communication in some way. B2C and B2B have many similarities but also a few things that sets them apart. For example your B2B database may have the additional challenge of people switching jobs and thus also switching email addresses. Do you continuously work in weeding these out? That said, this article focuses on the similarities that are applicable on both. An email database requires some occasional maintenance to make sure that your efforts and budget is well spent. This may sound tediously boring, but really its necessary not the case since there is now functionality that automatically removes hard bounces and unsubscribes from your database. Data hygiene is about keeping your database fresh and up-to date. You want to make sure that the emails you are sending out are in fact going to valid email addresses that are still in use and to remove anyone who does not open up your emails. It can be interesting to be aware of how many unsubscribes you get from each newsletter, compare to previous months and years. This is a great opportunity for you to make sure both content, offer, frequency and segmentation is right. If there is a large amount of unsubscribes, then that is a obvious sign of that you need to look into how, what and why you communicate to your subscribers. a) Check my newsletter SPAM score once again, maybe there is something going on here. Also check if there is a common denominator with these emails, i.e they are all hotmail addresses for example, then you have a sure sign that your emails are being blocked by hotmail for some reason. Time to investigate. b) Create a distribution list from these mysterious subscribers, and subsequently a special email to send to this list and these people alone. Do you think our emails are not relevant to you? Do you delete our emails without reading them? if so why? What can we do to add value to the newsletters we send to you? Can we improve? – if so what? and how? Why did you sign-up to our newsletter in the first place? An indication of who doesn’t and therefore, create a separate list or remove these altogether from my ordinary distribution list. 1 – was our content not relevant to you? 2 – was our content not valuable to you? 3 – did we email you to often? 4 – did we email you to seldom? Every ESP should be able to add this into your unsubscribe process as an automatic feature. So you can kick-back with a cuppa and receive the feedback without lifting a finger. Also, many companies don’t really use this page for anything. Why not try to win the customer back with a special promotional code and offer on this page as a thank you for the feedback they have supplied? In an attempt to cajole a bit of feedback out of any unsubscriber, why not break this page in to two steps,and give the unsubcsriber the promotional code/gift once they have supplied their feedback. We never seem to really hit it off, we are sad to see you go. We would really love to know why. Please take 3 minutes to tell us why. From this you can now gain valuable feedback for improvements and investigate if there are any correlations. As I mentioned above, you want to know who repeatedly does not open your emails and investigate any correlations (is it your SPAM score, a specific segment, etc etc). Therefore to make your work easier, set up a automatic campaign to target people who has not opened your emails in a very long time and ask them to re-opt in, otherwise you’ll remove them. Before you do though, have a quick look through and see if you can find a common denominator in the email addresses of the customers who did not re-opt in. Perhaps you have a CRM and you have never matched this with email marketing before. Before you do, set expectations and get approval. Create an opt-in campaign where you politely ask if the person in the other end is interested to hear from you, give an example of what you are about send out. What’s the worse that can happen? apart from sending unsolicited emails to people in a world where you receive so many of them already – you can get blacklisted if enough people complain about you. That effects your domain name. Just keep in mind to honour the people in your CRM with the decency to ask for permission. Secondly you get a bad reputation, which can damage your brand. What does your brand stand for? 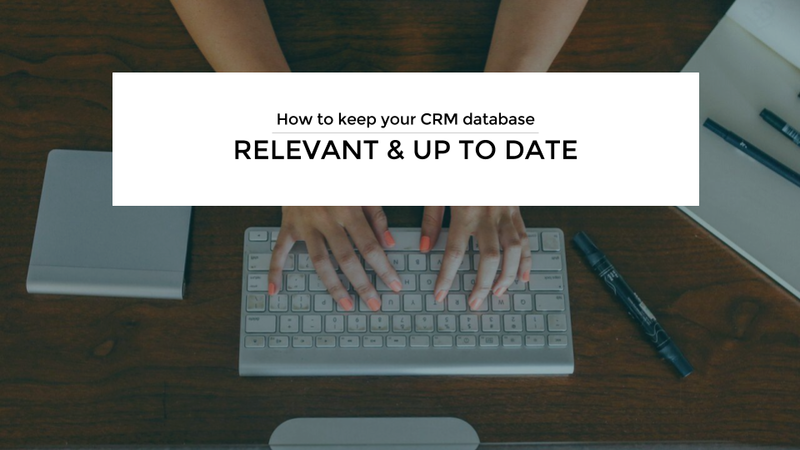 Perhaps you are reading this and you have already segmented your database. Well, its nothing new that you need to segment your database in order to both send and craft relevant content to your customers. Segmentation can also be something you need to work continuously with depending on the service you offer and your customers needs and interests. Is a static segmentation model relevant to your customer in their customer journey and in their life cycle? If not, then define a segmentation model that fits your customers journey and life cycle. You may need more then one.